Sources said that there were allegations that one of the judge's foreign trips were funded by third parties and the other was accused of demanding 10 per cent of a fixed deposit for allowing its premature release. 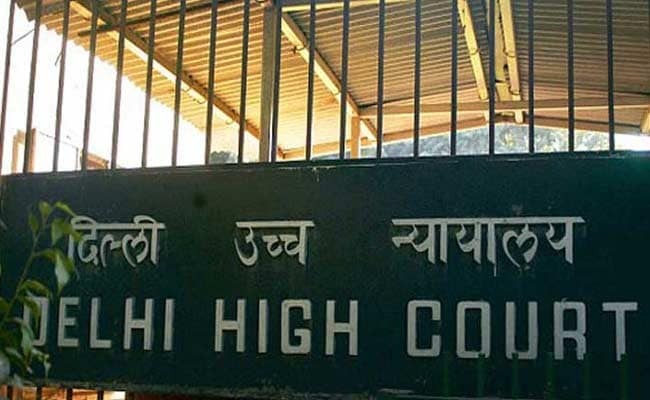 New Delhi: Two trial court judges have been suspended by the Delhi High Court for alleged corruption. The decision to suspend the two additional sessions judges, posted at Dwarka District Court, was taken by a full court of the high court on December 21, sources close to the Acting Chief Justice Gita Mittal's secretariat said today. Both the judges did not respond to repeated messages and phone calls, news agency PTI said. The sources said that one of them was presiding as an additional district judge (Motor Accident Claims Tribunal) and the other was a special judge (electricity). The high court's decision was then communicated to the district judge of Dwarka Court, where the two officers were posted, for necessary action, they told PTI. They said that there were allegations that one of the judge's foreign trips were funded by third parties and the other was accused of demanding 10 per cent of a fixed deposit for allowing its premature release. The sources also said that the Acting Chief Justice's secretariat was in possession of audio recordings against one of the two judges who is allegedly heard demanding a bribe. "The judge's voice was identified by the vigilance committee of the high court, headed by Justice Vipin Sanghi," one of the sources said, adding that the full court of the high court is also seized with enquiry of six to seven other lower court judicial officers. They said that the suspension of the two judges is for 120 days and for further extension of the suspension, the full court will have to assemble again. They said since there were serious allegations against the two judicial officers, they were suspended immediately. The two have been suspended under appropriate rules of the Delhi Higher Judicial Service Rules and All India Services (Discipline and Appeal) Rules, they said.